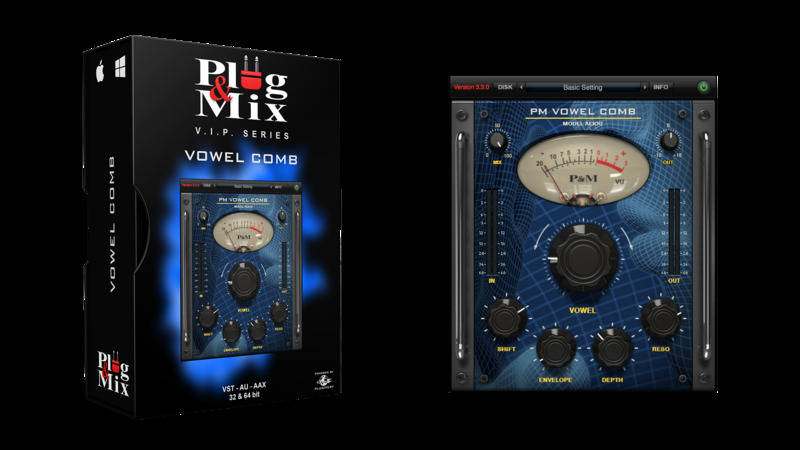 P&M Vowel Comb offers a unique spin on filter plug-ins. This unconventional effect allows you to add vowel overtones to any source material causing your rhythms to come alive, your guitars to speak and your bass to growl like a beast. The big vowel knob easily dials in the vowel sound while Formant Shift, Envelope and Resonance give you additional sound shaping controls. The result is a talking comb filter like no other. - MIX - Dry/Wet control. - VOWEL - Dials in the vowel frequency and emits a vocal-like quality. - SHIFT - Changes the character of the tone from lower darker tones to brighter. - ENVELOPE - Controls the speed of the envelope’s bite. - DEPTH - Controls the depth of the envelope. - RESO - Boosts the strength of the Vowel frequency.